Our Big Sky Watershed Corps Member, Casey, participated in the Montana Salt Cedar Team as they treated Salt Cedar on the Missouri River from Wolf Point to the North Dakota border in 2017. 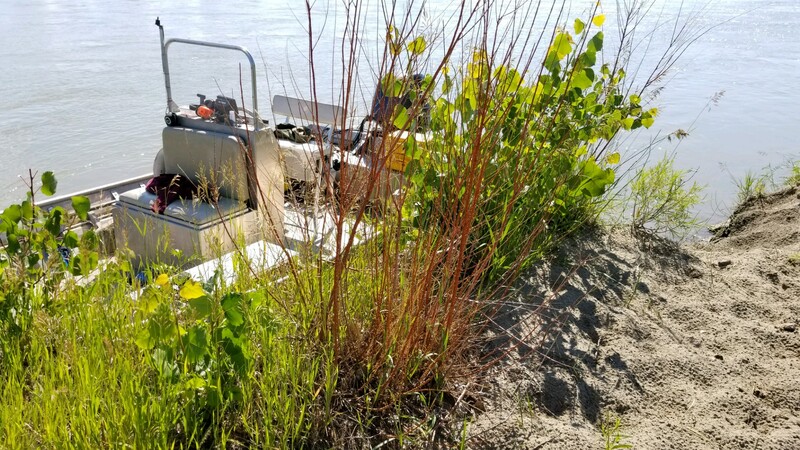 Casey had the opportunity to monitor the progress from last year’s treatment, and treat any missed Salt Cedar along that stretch of Missouri River. The results were fantastic! Most treated Salt Cedar had complete foliar die off, and some had partial foliar die off and will likely die within the next year. Many treated Salt Cedar plants had cottonwood seedlings and grasses growing around them, an excellent sight to see! 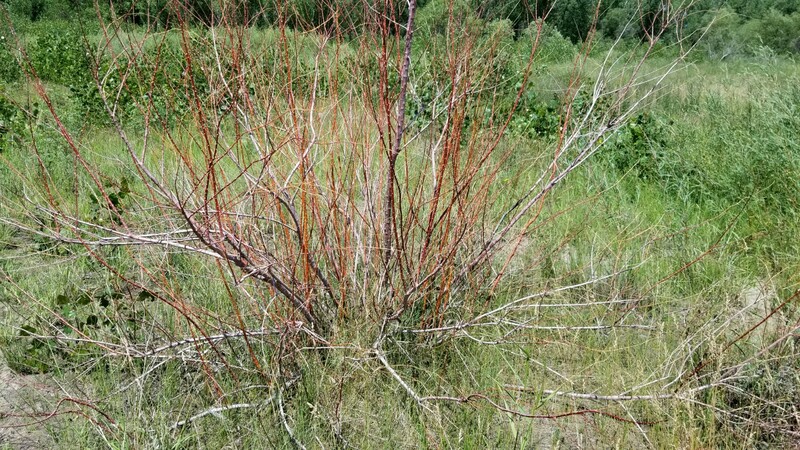 About 30 missed plants were stump-cut and treated during the monitoring trip in June 2018. The Montana Salt Cedar Team will conduct another treatment in 2018, upstream of Fort Peck Lake. 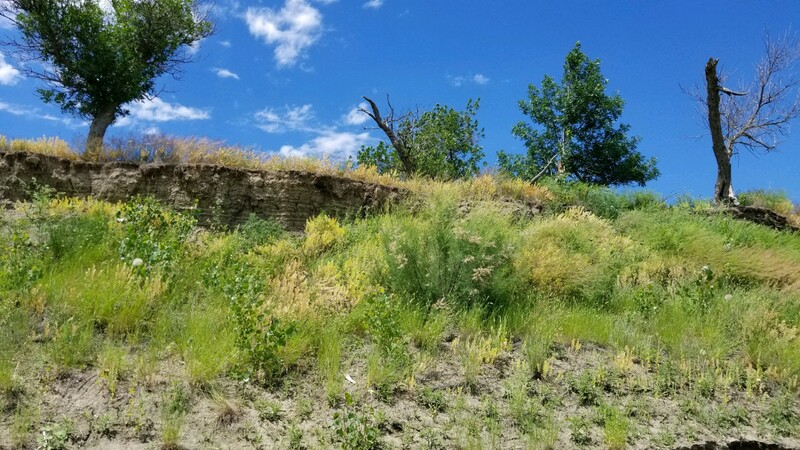 A preliminary surveying trip will be made to survey the infestation on the West end of Fort Peck Lake and up the Musselshell River. A treatment plan based on the survey findings will be developed and executed in the Summer of 2018. Casey will have the opportunity to be on both the survey and treatment trips, stay tuned for an update! Complete foliar die-off with living cottonwoods adjacent. Treated and defeated Salt Cedar! Hidden in plain sight: Salt Cedar found & treated on 2018 monitoring trip. Previous Post MRWA is a Weather Ready Nation Ambassador! Next Post Invaders Inspectors at Water Carnival!